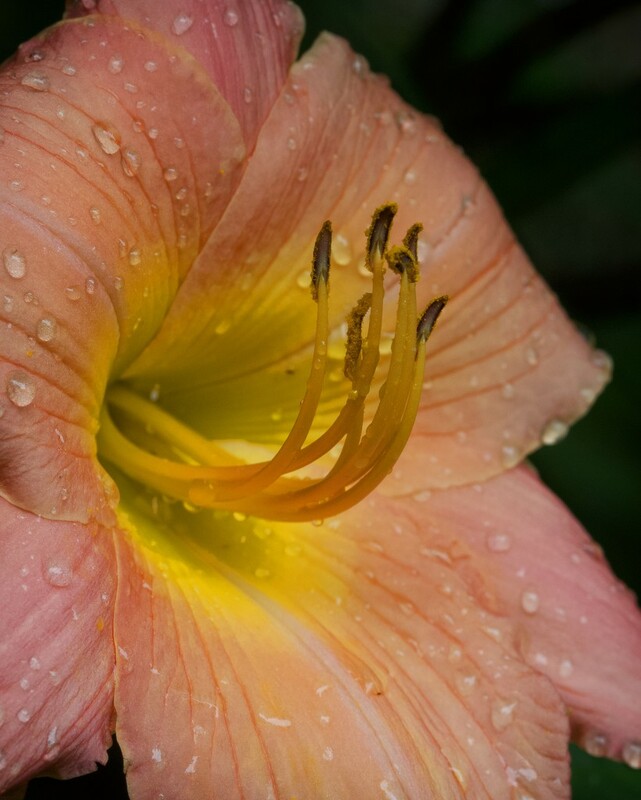 Day Lillies are best for the first day,taken in between the rains today. So pretty with the stamens curving upwards! Better than downwards but then you would be standing on your head!